Browser bookmarks (also known as “Favorites”) are a way to save (and to quickly launch) oft-referenced websites. It’s a great time-saver and no matter what browser you use (Safari, Firefox, Google Chrome, Opera or one of the more obscure ones), dealing with your bookmarks is a simple task. But – like a lot of things in life, if you don’t actively manage them, things can get out of control very quickly. The biggest problem with bookmarks is the overabundance of them paired with the lack of organization. Take Firefox, for example. By adding a bookmark (Command-D), it drops your latest addition to the bottom of the list – and depending on how many you’ve previously added, it could be harder to find than Jimmy Hoffa. 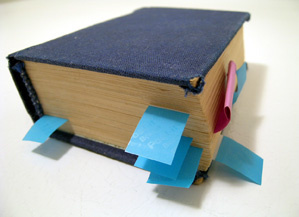 To keep your bookmarks list tidy, you must delete and/or organize them once in a while. Every major browser makes it easy to lose your unwanted bookmarks; also, there are ways to organize them to shorten the list and to keep similar ones together. The best way to keep your bookmark list spiffy is to create folders within your list. Adding a bookmark is the same in all the major browsers – for example, Command-D adds a bookmark in every one of the big four (Safari, Firefox, Google Chrome and Opera). However, adding a folder is a slightly different process, depending on your browser. In all browsers, simply highlight the bookmark you want to eliminate and hit the “Delete” key on your keyboard.